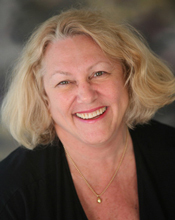 St. Thomas, VI - March 24, 2011 -- Nancy Anderson, President of McLaughlin Anderson Luxury Villas and a licensed Real Estate broker, has again been honored to be among just 44 of Condé Nast Traveler's worldwide Top Villa Rental Specialists for the third year in a row. "It's a great honor to be recognized," says Nancy Anderson. "I feel like I'm in such fabulous company. Our little business has grown in so many ways in twenty-six years, but expertise and superb customer service never go out of style!" Condé Nast Traveler distributes an annual questionnaire to selected vacation rental pros, after which they are reviewed with an eye to regional knowledge as well as an intimate knowledge of the properties they represent. Every candidate is required to have developed a superb service delivery system, with an emphasis on communications, expertise, and materials. See Wendy Perrin's 2011 article which includes the rental specialists: Affordable Villa Vacations.